Camilla, Duchess of Cornwall led the glamour as she joined American actress Sally Field and a host of stars at the Olivier Awards in London on Sunday night. Everyone from Gillian Anderson to Vanessa Redgrave stunned in floor-length ball gowns, as they gathered to honour the very best of the movie industry from the past year. Camilla led the star-studded arrivals at the annual event on Sunday, stealing the show in an elegant navy dress which featured stunning silver detailing. The 71-year-old added a touch of bling with a dramatic diamond necklace and a matching pair of earrings. Camilla wore her hair out in soft waves and opted for minimum makeup for the occasion. 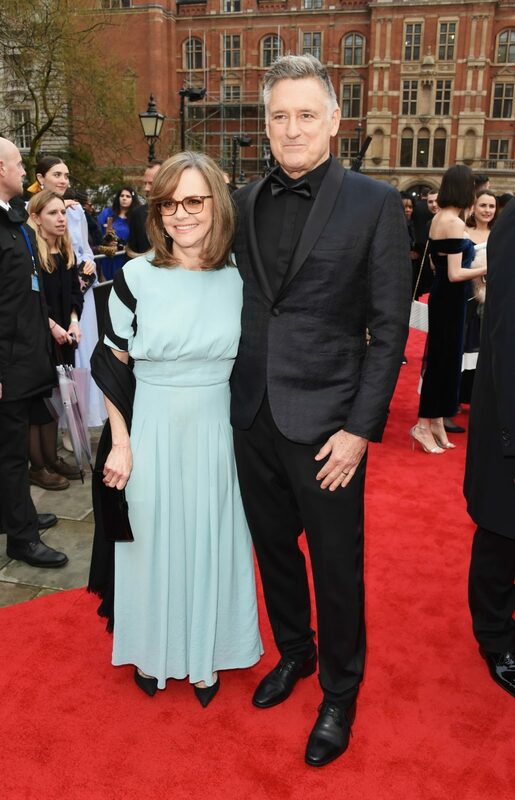 Meanwhile, Sally Field, 72, stole the show early on in a pale blue pleated gown, as she posed for snaps in front of the sea of cameras and reporters. The actress look sensational in the gown, with featured black stripes on the sleeves and cinched in at the waist. Sally wore her luscious brunette locks down past her shoulders and looked smart in a trendy pair of glasses. She also opted for a natural make-up look, showing off her glowing complexion. Gillian Anderson, 50, who was nominated for Best Actress, was certainly one of the most extravagantly dressed stars of the evening and dazzled in a fitted floor-length black gown, which had delicate thin shoulder straps and featured particularly sheer sections. She finished off the stunning look with simple red accessories, and wore her hair pushed back for a dramatic effect. 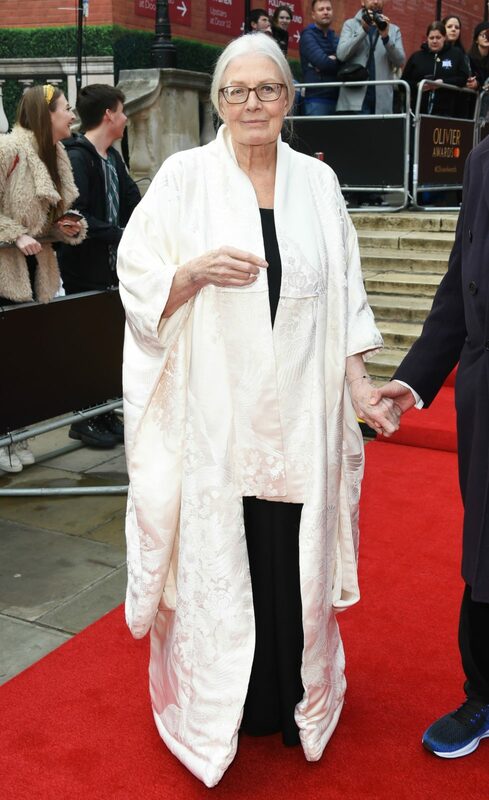 Elsewhere, actress Vanessa Redgrave, who was also up for an award for her role in All About Eve, certainly didn’t disappoint in the style department as she wowed crowds in a flowing white cape. Wearing a black dress and black shoes beneath her striking choice of jacket, Judi let the eye-catching detailing do all of the talking as she accessorised the outfit with just a simple silver bracelet. Which was your favourite outfit of the night? Who would you name as best dressed?